At no additional expense to you, there are affiliate links included in this post to help defray the cost of website maintenance. Click here for my disclosure. Also, hang on to the end for a giveaway! Do your kids play video games? If so, you may know about the concept of powering up. In my devotion today “The Unexpected Power of Kindergarten Truths,” I’ve explained how this video game idea has applied to my spiritual life, and I encourage you to read there before reading on! We can power down, quitting in discouragement and defeat. The #2 way of dealing is often my default. In the past, I’ve seen going back to Kindergarten as a bad thing. A failure. A demotion. When I taught elementary school, my most prized students were the kids who were teachable. They were the children who didn’t resist my instruction but dove eagerly into anything that I gave them. It was a delight to teach those kinds of learners! For me, the main obstacle to taking what seems to be a step back is my pride. I’ve resisted returning to lessons on love and belief and prayer because I thought I should be past that. While it’s true that we’re called to maturity, I don’t think we’ll ever be “past” those foundational and essential pieces of our walk with Jesus. So instead of resisting, I’m learning to pray for humility and a willing attitude. I want God to delight in me as a student of His ways! Always, always, always start with the Bible, but try using a modern translation of the Bible like The Message beside the one you usually read. I’m cautious about translations that aren’t word-by-word translations, but I don’t believe they’re harmful if we use them alongside others for accuracy. God often uses The Message to wake up my brain and see His Word in a fresh way. I’ll do a word study of the topic God is reteaching and follow it through in several translations. The cool version that I linked has the NIV translation side by side with The Message. Read books by others who have studied your topic. When I got sent back to learn about prayer, I loved the book Praying the Scriptures for Your Adult Children which taught me to pray in my current season of life. If your perfectionism is damaging your relationships again, my book Breaking Up with Perfect might be just the perspective that God uses to bring renewed freedom. When we embrace leveling up instead of powering down, there are rich rewards! 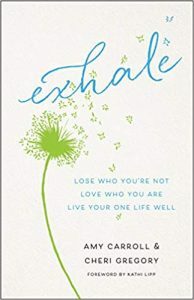 I’m beyond excited to announce that my new book Exhale: Lose Who You’re Not. Love Who You Are. Live Your One Life Well, co-authored with my dear friend Cheri Gregory, is coming out on June 4th. It’s available for pre-sale now, but the freebies aren’t quite ready yet. If you pre-order now, be sure to hang on to your receipt so that you can receive them later. 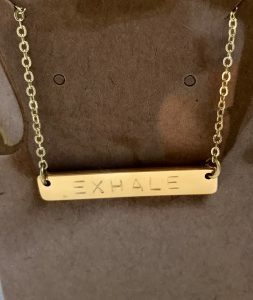 To enter to win this beautiful necklace, simply say “I’m ready to EXHALE!” or tell me how leveling up has been powerful in your life. I am ready to exhale! I stopped breathing in Decmber, 2006, when my daughter told me she had a brain tumour. I stopped breathing when she died in 2010. I stopped breathing living with an alcoholic. I stopped breathing when my husband died in a car accident. I stopped breathing when I was diagnosed with cancer. I stopped breathing when my doctor said I needed a shoulder replacement. I tried everything to try and fix my shoulder without resorting to surgery. I am positive that years of stress and grief contributed to inflammation and osteoarthritis. Breathing. Such a simple thing to do. Such a hard thing to do when you are in grief and fear and pain. I am waiting to exhale…. Ready to exhale. And read your new book! 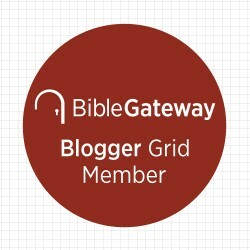 Your blog email and the daily teaching from P31 came in as a hug from God. He’s been reminding me for so long, almost all of 2018 – 2019 how much he loves me. I too am struggling with frustration. I feel that I shouldn’t need to go back to the basics. I’m ready to exhale! Tired of feeling guilty for struggling with my identity in Christ. I’m ready to exhale. Leveling up to a realization that I would never live up to a toxic family and moved on to live a life with my heavenly family. This is where I found unconditional love and acceptance of all my imperfections in grace. I’m ready to exhale. And, I’m ready to read, “Exhale”!!! So excited, Cheri and Amy!! I need to try it all, I’m in a real challenging season! I need to break up with perfect and my to do list and learn to become one with my new husband as I am also a grandma raising her grandson!! I”m ready to exhale! Thank you for your words. They seem simple, but how quickly we forget the basic truth of God’s love for us. I’m ready to exhale. I truly needed this message today. Thank you so much. “I am ready to Exhale!” I needed this simple reminder- I’m always on the lookout for the next ‘best way to study’ or ‘deep truths you need to learn’, etc when I should take the time to go over the simple truths and focus on them. It finally makes sense. This is what God has been trying to explain to me but I just couldn’t understand. He has woke me to pray and read his word in the wee hours of the morning to get me to understand those simple things. Thank you for giving me clarity. I’m ready to exhale! I think revisiting ‘children’s’ Bible stories would be great for most adults! I’m ready to Exhale! This is something I’ve been having a hard time doing, letting go, trusting and not feeling like a failure. Thank you for your post! I am SO ready to exhale! Love the analogy of “leveling up”. I’m ready to exhale! I’m ready, willing and able to exhale and wait, yes wait, on the Lord! Oh yeah…I totally need to exhale, if you didn’t pick that up from my previous post. Mercy! I’m ready to exhale! My mind has been telling me for quite some time that I need to go back to Jesus, to HIS basics, and learn to rest and refresh in Him! Thank you! Forgot to say, this was an excellent devotional! As a Bible Quiz Coach, I’ve had to return to the basics in order to adequately support my students throughout their studies. I’ve found the simple lessons have reaffirmed my own faith. I find myself waking & going to sleep with God’s Word running through my head in a fun sing-song format. 😉 I love how the verses have come alive in my life and how the number of verses I have memorized has greatly increased. I’m ready to EXHALE!!! i am ready to exhale. I’m ready to exhale. (Because I didn’t quite understand what you meant by “leveling up”.). And thank you ! I am ready to exhale. And looking forward to the book! I love listening to you and Cheri on the podcast. I’m ready to EXHALE! God, you know my heart, my hurts & my healing that I need and can only receive & achieve thru YOUR grace & loving kindness. Please, please Dear Lord, lead me on my journey back to “spiritual kindergarten” because I desperately need to remember who You are & Your basics that I learned so long ago…. thank You for loving me. 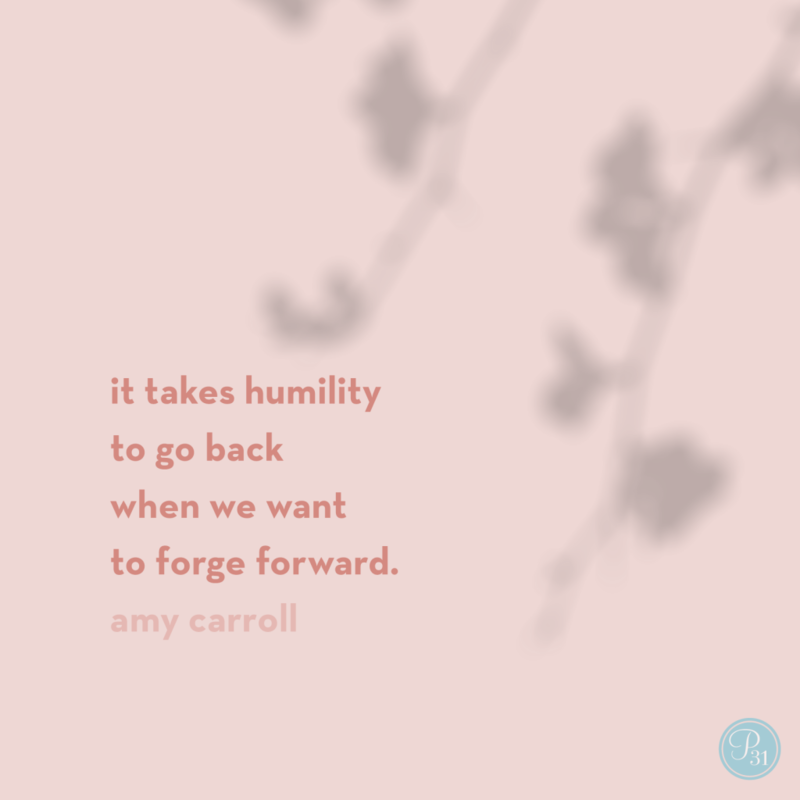 Thank you Amy for validating what I just experienced with God…stick to the basics and He will meet us where we are…stop trying so hard…just be and ask Him to shape and guide you. Ready to Exhale! I am ready to Exhale! I have been leveling up lately by praying for my husband and God’s will for him Instead of getting discouraged as I often do and reacting and getting offensive I have been praying for God to help me see my husband through a different lense, one that focuses on the positive characteristics not the negatives. Super EXCITED to pre order Exhale! Many thanks for the reminder for us to return to the basics of faith. I like what you wrote”we aren’t dumbing ;down; we’re leveling up.” I looked up the word dumb – “lacking the power of speech;not self propelling; informal;not stupid”. and level -“relative position or rank on a scale; a high level of achievement.” to help me understand it better. I do understand about how kindergarten today is too advanced with academics and not enough play. When I was in kindergarten we played and when I taught it we learned through play. I love the idea of going back to “God’s kindergarten’ and the verse Psalm 25:5. “EXHALE”. What an encouraging reminder this would be for a friend whose life has recently been overwhelmingly filled with “hold your breath” times. I’m going to send her this word on a card, along with a copy of what you’ve shared this morning. Thank you! Jesus loves me… I’m leveling up! I loved your leveling up topic. In my home – our family has been completely shaken and broken when my husband decided to leave us. This brought me back to a place where I definately got back to the basics. And have had to go back and re-learn and re-feel – Gods live and faithfulness. Also in this time frame my daughter came back to Christ. Exhale – is a point I am at now – because for a while I dont think I was breathing at all. Just hope other women reading this – not only learn to exhale – but learn to breathe – you can – because God is the same always and he has never left you. Just get back to the basics – and reach for Him and let him fill you and comfort you. I’m ready to EXHALE!” SO excited about this book. Being there from the beginning, although I wasn’t always able to contribute, I was blessed by the experience. Congratulations! I’m Eileen, recently I decided to try a modern calligraphy class, great you will think. But I’m The I don’t know how to draw, no eye hand coordination 51y/o So there I was everyone around doing great and my letters look as if fro kindergarten. I started hiding my work. Next morning I realized God wants me back to basics, I’ve been a physician for 26yrs , so I don’t need to learn or relearn anything else, right? Wrong. I have loved the class I’m trying and SHOWING every technique that I try even if it’s not great. I needed to EXHALE.